Thomas J. Moran has been chairman of Mutual of America since March 2016, and was appointed chairman of the board in 2005. 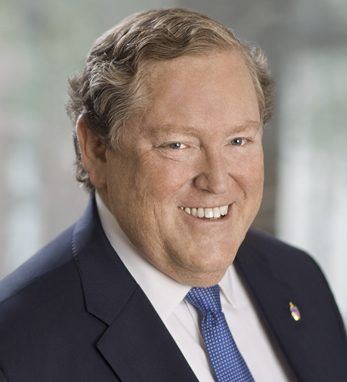 During more than three decades of service, over which he also served as president, CEO, and COO, Tom has participated in Mutual’s growth from a small retirement association to a mutual life insurance company with over $18 billion in assets. Tom is chairman of Concern Worldwide U.S., and serves on the boards of directors of the Greater New York Council of the Boy Scouts of America, the Educational Broadcasting System, the National Committee on American Foreign Policy, and the NYC Irish Hunger Memorial. He has also been honored with an honorary Doctor of Laws from the National University of Ireland and an Honorary Doctor of Science in Economics from Queens University, Belfast, where he also serves as chancellor. With roots in Fermanagh and Tipperary, he serves on the Irish Prime Minister’s Economic Advisory Board and the boards of the Irish Chamber of Commerce and the Ireland-U.S. Council. He earned a B.S. from Manhattan College. Tom and his wife, Joan, live in New York.